This entry was posted in Life Was Easier When We Were Slackers and tagged 20-something, career, generation X, GenX, middle age, midlife, Motherlode, New York Times, young adulthood. I agree. It all depends on what side you are standing on in terms of where you are in life and what your priorities (paying a mortgage, worrying about kids/schools/college, etc) vs. getting a job, meeting a partner, etc. Thank you for publishing this. 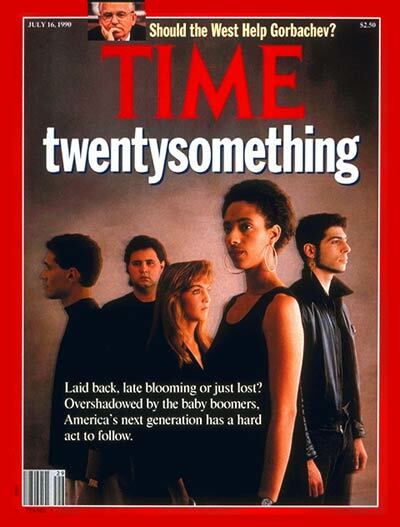 As a Gen Y recent grad baffled by the economy and job prospects post-college, I needed this. I’m relieved to hear that you’re not supposed to have it all figured out in your early 20’s. There’s still time. Your title says it all. I think this is just part of the rhythm of life: pointing fingers and complaining about how ‘easy’ the generation that follows you has it—we all do it at times. But in the end, civilization doesn’t appear to be unraveling because some folks got off to a slow start. Great post!